I spent yesterday afternoon at the Olympia where the counting took place for the London Southwest constituency. Really pleased to see my good friend, Tony Arbour, returned to represent us at the London Assembly. I have learnt a lot from him and hugely admire what he does so really pleased for him and his wife Caroline. 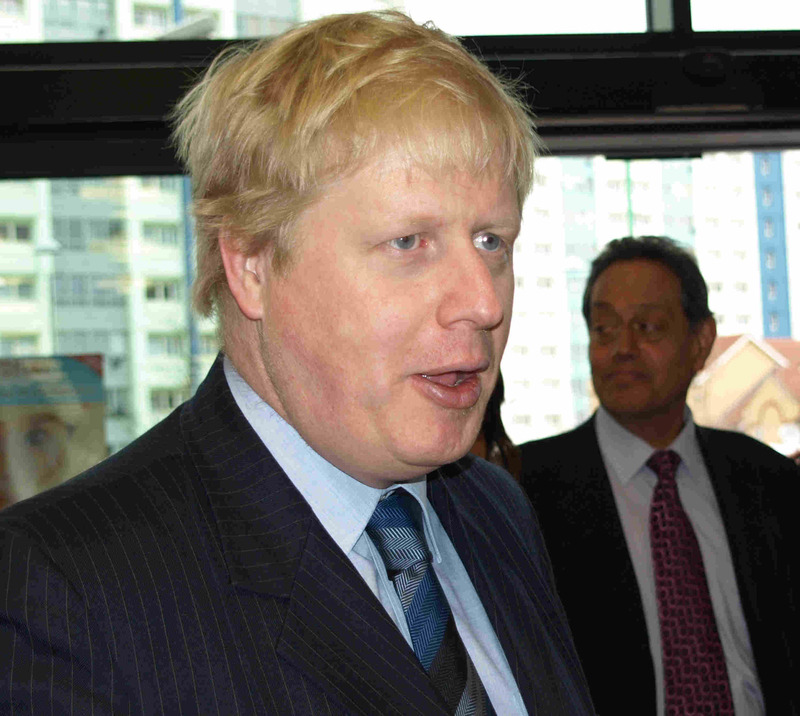 I do not think I am saying anything controversial when I say that we would have lost the Mayoralty had our candidate not been Boris. 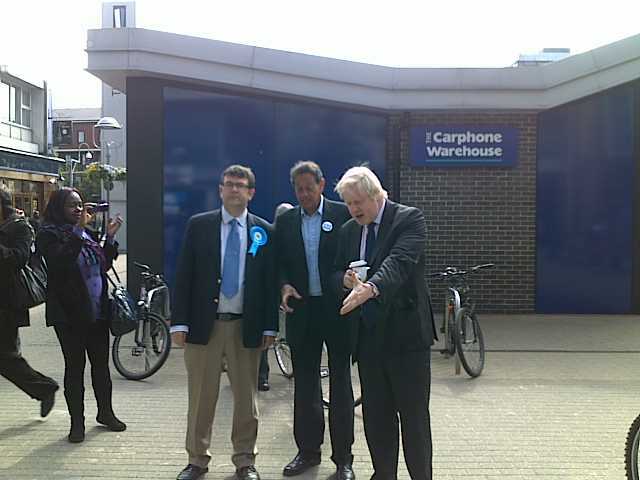 Having been out and about with him in Feltham and Hounslow West in the past, there really are very few like him. 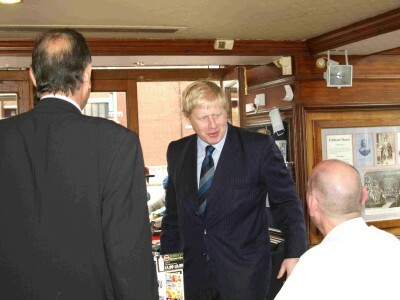 Politicians cross the road to meet the people whereas people cross the road to meet Boris! Sorry to see Richard Barnes lose his seat in Ealing & Hillingdon. A very nice man! Elsewhere a friend of mine lost his seat by 7 votes. I have not had the chance to chat with him yet but I can imagine that he will be shattered by the result and inevitably he will ask himself whether an extra 30 minutes canvassing or an extra something else would have made the difference. A pretty unique experience! Politics is a tough game. Most go into it for the right reasons. Having experienced winning and losing, I appreciate how so many candidates will be feeling. I have already heard people calling for a change in direction from the Government. I remain as supportive of the principle of deficit reduction as I always have done. It is the right thing to do and there is no alternative. 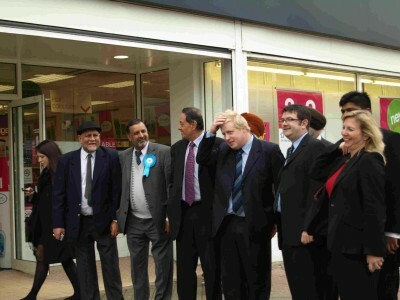 Mayor Boris Johnson, Philip Hammond and Lord Tariq Ahmad, along with a large number of Conservative MPs came to the constituency yesterday. 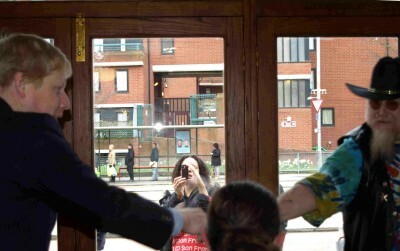 As I commented before the General Election, Politicians cross the road to meet the people. 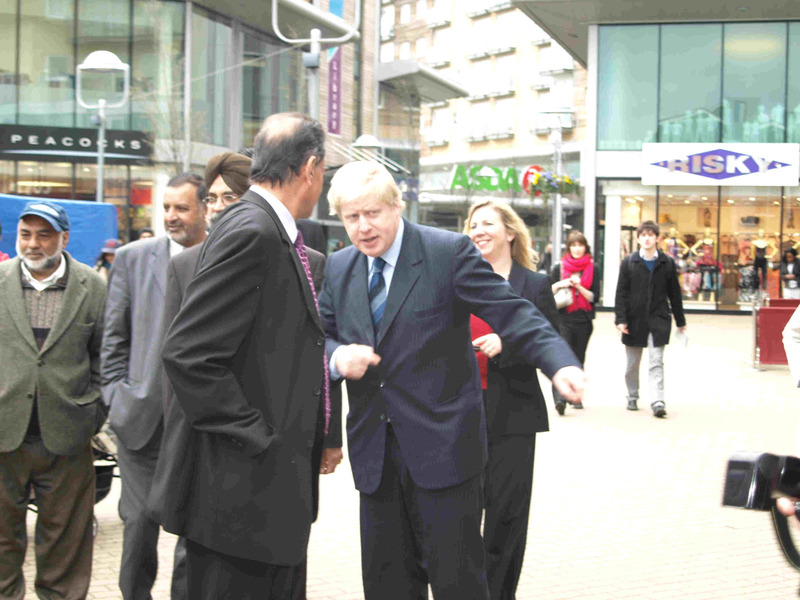 With Boris, people cross the road to meet him. It really is incredible just how many people want to say hello and have their picture taken with him. I am uncertain whether there are many people like him and it is great to have someone like him on my side. One of the differences between this by-election and the General Elections I have fought is the amount of media interviews. A great experience. Yesterday was no different with me talking with Hayes FM and Sangat TV. Today and tomorrow to go and all to play for! Most politicians cross the road to meet the people. 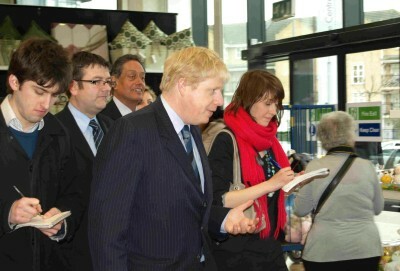 With Boris, people cross the road to meet him. This is the second time that I have seen Boris walking around this Borough and it is just incredible how many people – of all ages and backgrounds – want to meet him. There is truly no exaggeration here! We walked around The Centre and the High Street. The visit ended with a quick walk through the Moon on the Square. Here are a few pictures and with so many others with cameras, there maybe more? I think that this applies across the board but I had the honour and pleasure of representing the Council last Thursday at the Official opening of the new Heron Wing at the Feltham Young Offenders Institution. There was genuine excitement about the potential and it is an excitement that I share. 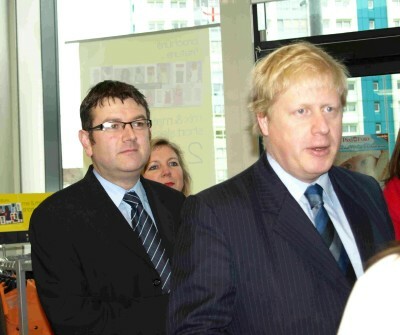 As the Mayor, Boris Johnson, got across schemes like this make sense both financially and for everyone in society. I was also impressed with the speech given by Jack Straw MP. It got me thinking about whether he is an example of a politician who comes across much better in the flesh than on television. I visited a number of stands that had been set up for Guests. I also read some of the literature and criteria that is considered for agreeing to an application for early release. All sensible stuff and whilst there is an explicit reference to good behaviour, there is none to good manners. The two are not always the same. I am guessing that Good Behaviour could be down, for example, to an Offender not showing any violence or aggression towards others. Of course, good behaviour is critical but taking a view on how an Offender being released will interact and speak with others is surely critical also. They have a difficult job to do at FYO with most being on remand. Notwithstanding that, they do their very best to enhance Skill Set of the Offenders whilst they are in their care. I doubt that anyone would disagree that there is a better chance of these Offenders re-offending when there has been an investment in Skills Training with/on/in some of these young men. I think that this Popular Consensus is established. Would anyone disagree that there is a better chance of re-offending not happening when these young men have demonstrated that they understand the importance of being polite? I would hope that every Offender leaves our Institutions in the future understanding that “Good Morning”, “Please”, “Thank you”, “Excuse Me” etc are necessary when interacting with others. Good Manners and politeness are certainly under played these days. Both need to be more explicit in policies of the next Government. Yet more trees coming to Feltham! I was alerted to this today. Another opportunity for more trees in Feltham. I encourage Feltham residents to use the links in the article to express ideas for planting. Posted in Uncategorized | Comments Off on Yet more trees coming to Feltham! The headline has to be the fact that we have frozen the Council Tax for the third time in a row. This is one of the best stories in Local Government. No longer is Hounslow, London’s forgotten Borough. And, for the first time, no increase in the London Precept – Conservatives really do cost you less. And, we are now a Four Star rated Council. Lots of protest at the Borough Council Meeting from those concerned about the proposal to withdraw the General Fund contribution to the Hounslow Language Service. I had a little banter with one or two when walking in but on reflection I am not certain if they realised that? Please tell me that this is not true! I have a lot of respect for the effective way in which those opposed to expansion have run their campaign but there is no prospect of me supporting the idea that we should ship (or fly) 11,000 or so jobs from this Borough. Over the years, Billions have been invested in Heathrow. It is beyond irresponsible to claim that those investments can be written off. Whatever the view on Terminal 5 were, what is clear to anyone who has used it, the experience is something to be proud of and it must be competing extremely well with the best of Terminals throughout Europe. My consistent line – held since the previous General Election – has not changed. Within that mix, however, is a pride in Heathrow that provides such a decent living for me and so many of my constituents! Posted in Uncategorized | Comments Off on Please tell me that this is not true! I should have commented on this staight away. This is wonderful news for residents and there is now the real prospect of no increase in tax at all, which in real terms is a decrease. This is why there have not been postings since Tuesday. Of course, I am keeping a close eye on the Presidential Election. I am going for John McCain. In a shuttle bus earlier today, a few of us were talking and I was the only one backing McCain (it is New York so I am not too worried). Just seen a page on this and remarks from Boris Johnson. Comments like this (assuming that they have not been mis-reported) are ones I find very annoying. These crass remarks insult the undoubted ability of Barack Obama as much as anything else. He should be considered on his abilities alone and not because of the colour of his skin. The vast majority of people would think it crazy if a well known politician claimed that a McCain victory would be a “fantastic boost” for white people. The same should apply here. It is also insulting to assume that black people automatically support Barack Obama and it reminds me of the time when someone told me he could guarantee that I did not know a black person who supported the Conservative Party. It was not even worth giving these claims the time of day!